A reputation is one of the most valuable things in the world today. It's not something that you can put a dollar amount on or even something that you can buy. However, if it's damaged, it is something that you could spend endless amounts of money to try and repair... yet see little results at the same time. Everyone starts off on a level playing field when it comes to their reputation, and the actions they take will quickly sway them in one direction or another. 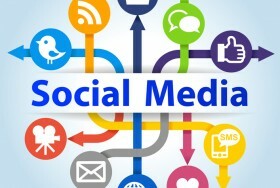 With the internet being the most effective and fastest way to deliver a first impression to anyone, it's now more important than ever to make sure your reputation and online presence around your name is better than ever before. To help with this process, we've selected seven of the best reputation quotes from entrepreneurs, business experts and thought leaders around the world. 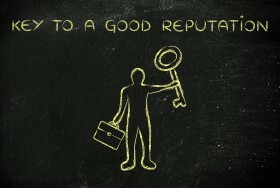 Not only will these quotes get your mind in motion about how others think about your personal or brand reputation, but also how quickly your reputation can change based off actions taken. To kick things off, let's look at a quote from John Wooden, who was one of the most successful college basketball coaches of all time. His quote is all about the importance of being true to who you are and not trying to create a persona or brand that actually isn't there. Keeping with this same concept in mind, it's not just about how you act or represent yourself as a brand, it's all about who you associate with. If you are seen working with individuals or brands with a bad history or reputation, your brand could easily start being seen the same way just through association. The value of your reputation is so important, that we had to throw the same lesson and quote out there twice -- this time from Warren Buffet. The twist with Warren's quote is that he reminds the audience simply to "think before acting". In the world of business and personal branding, repetition is key. 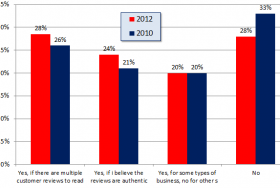 A good example of this would be a brand like Starbucks (one of the most admired businesses in the world). As a customer of their business, you go there because you expect great coffee and a high level of customer service every time. This is how it should always be -- repetitive and conistant. These same principles are used by Elizabeth Arden, founder of Elizabeth Arden, Inc.
Just as important as trying to maintain a solid reputation, is the ability to stand out from the crowd and create one for yourself. F. Scott Fitzgerald said it best in his quote below where he references being "outside the fold" and getting the attention of others. There is simply no better way to get quick attention for yourself and media attention, then to get others talking about you -- just make sure they are talking about the right things! 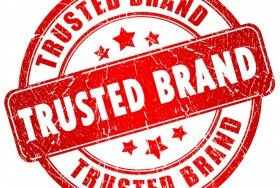 Last but not least... your personal or brand reputation ultimately lies on one single thing -- your trust. To bring this article to a close, I want you to think about five brands that you buy from on a weekly basis. If you had to write down what their reputation is based off your own personal views, what would you say? Once you've written these thoughts down, then take a look at your own personal or brand reputation and see how it might be perceived by others. To learn more about protecting your reputation online, be sure to read up on our latest ORM tips.